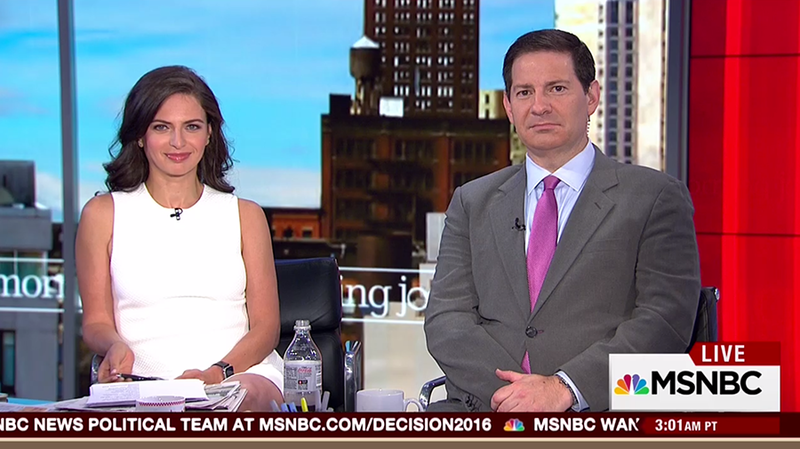 Despite the fairly drastic overhaul MSNBC gave one corner of Studio 3A, the network’s morning offering “Morning Joe” didn’t make that many on air changes when it returned home Monday. The show, which has spent the last two weeks on the road from the Republican National Convention and Democratic National Convention, where it took over local restaurants, was broadcast from its normal position in Studio 3A Monday. 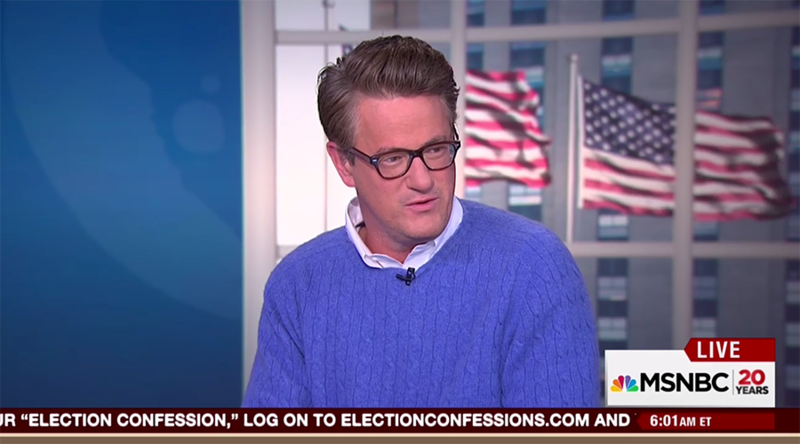 The same main anchor background behind Joe Scarborough, which is half blue and half faux windows with looping American flags visible through the virtual panes, continued to be projected on one of the studio’s original curved rear projection screen. 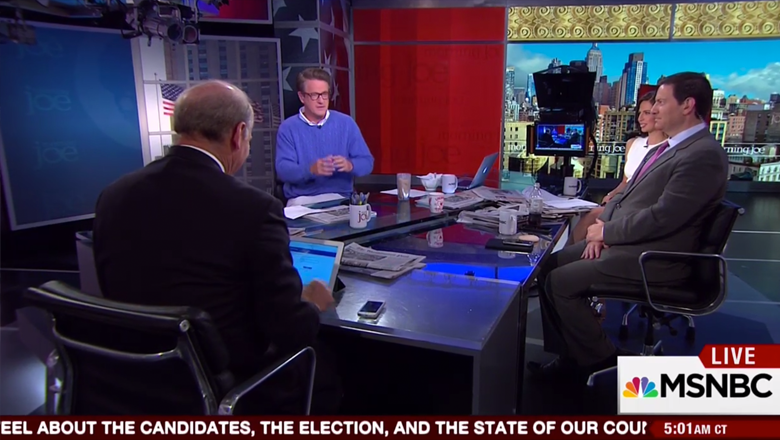 Normally the blue half of the background sits behind co-host Mika Brzezinski, who was out sick Monday. Guests, meanwhile, were placed in front of the studio’s two new video walls. These walls featured a stylized cityscape background with an animated “Morning Joe” line midway up in addition to some bold red coloring and swirly, coffee-inspired imagery in the headers. 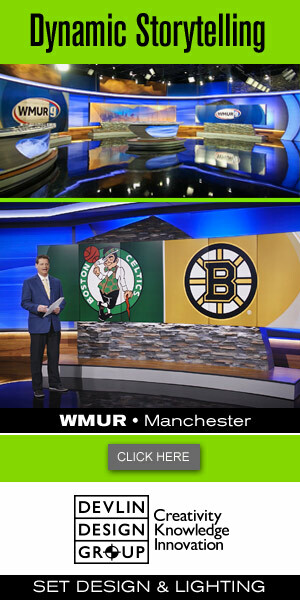 Of course, the new studio’s massive video walls lend themselves to almost limitless flexibility, so we may continue to see updates and changes to shows that originate from the space.